VCI Stretch protects all types of metals against corrosion in storage or shipping conditions with its powerful VCI content and superior physical property. Removes the lubrication process which is old, gruelling and a dirty application. As a result, the products are shipped clean and ready-to-use. 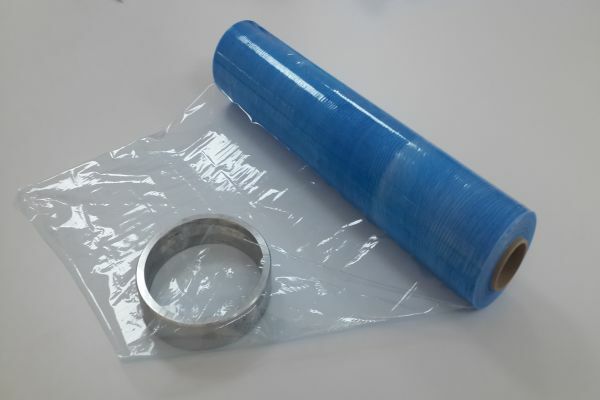 With its threefold high-resistance strong structure and advanced elongation feature, which allows to wrap the product without leaving residue, it is an effective preservative. Polyethylene VCI Stretch does not contain harmful heavy metal carcinogen chemicals such as nitrate and chromate.